UGK coming to Fox and Hound March 15th! More here. Last year all the artists were nicely placed into their respective genres... maybe i'm just lazy... do the work for me! UGK (short for Underground Kingz) is a hip-hop duo from Port Arthur, Texas. 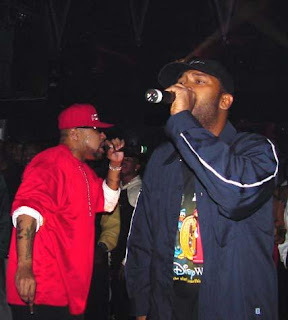 Formed in 1987 by long-time friends Chad "Pimp C" Butler and Bernard "Bun B" Freeman, they are highly respected by many of their peers, due in part to their longevity and their entrenchment in hip-hop's underground.